This post is right on time to break the silence of nearly two months without a blog post. Flabbergasted Vibes (the blog) is on life support and the plug could be pulled any day, if not by me than by a Higher Power. There’s been enough dying in 2016 without adding this place to the list, but my enthusiasm is definitely at low tide in the grand ebb and flow of things. Sure, it seems like the world has come unstuck – personally, professionally, politically – but none of it is really a surprise. I don’t have much to say about this particular album at this particular moment. Spinning a well-worn dusty classic is about all I’ve got left, and I’m finding even that doesn’t cut it on most days. But if you are pressed for time on your way to the fallout shelter and unable to deliberate at length, you could do worse than randomly grabbing this off the shelf with a few other long-players. I hope you had the foresight to equip your survivalist shelter with a working turntable and speakers. And a bicycle, for generating electricity off the grid, obviously. 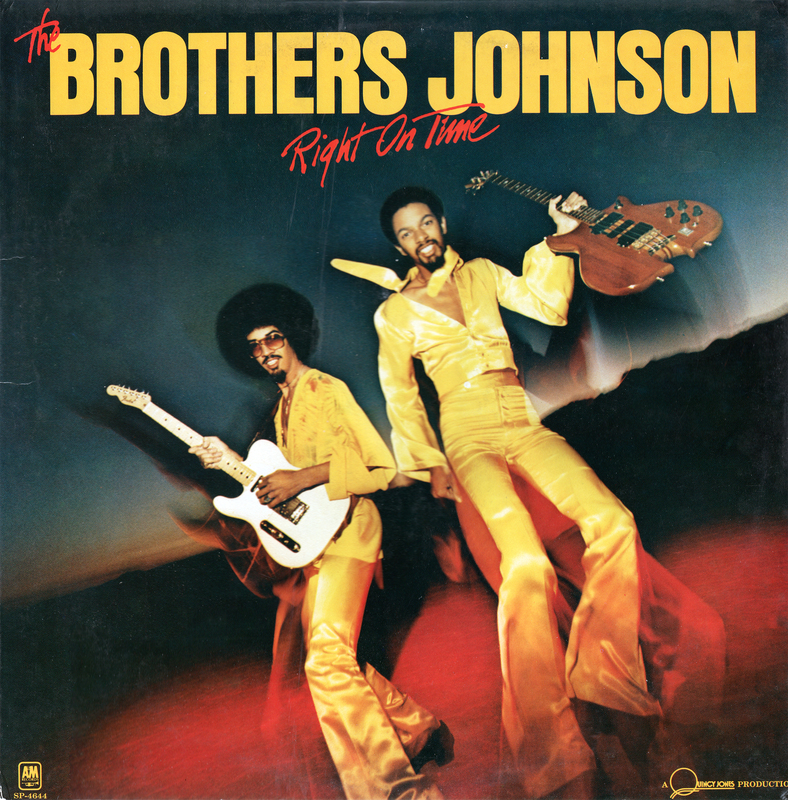 The instrumental reliability of The Brothers Johnson is beyond dispute, and here they have some big cheeses in their pantry to help serve up the funk – Harvey Mason on drums, the Tower of Power horns, Ralph McDonald on percussion, David Grusin and Ian Underwood on keyboards. And, of course, the whole thing is greased with Quincy Jones’ aural butter to keep the smooth proceedings from ever getting so hot that they scorch. Burnt, crispy funk was not Quincy’s thing. The title-track, which strives a little too hard for silliness, is maybe a little boring and could use a little extra grit. It’s hard to fault anything else though. The highlight is naturally their cover of the Shuggie Otis’ song Strawberry Letter 23 . Shuggie has always been “a musician’s musician,” and it’s not as if he was an unknown when he recorded this song for his second LP in the early 70’s. But the fact that it wasn’t the huge hit it could have been the first time around just meant that the world got to enjoy it twice. 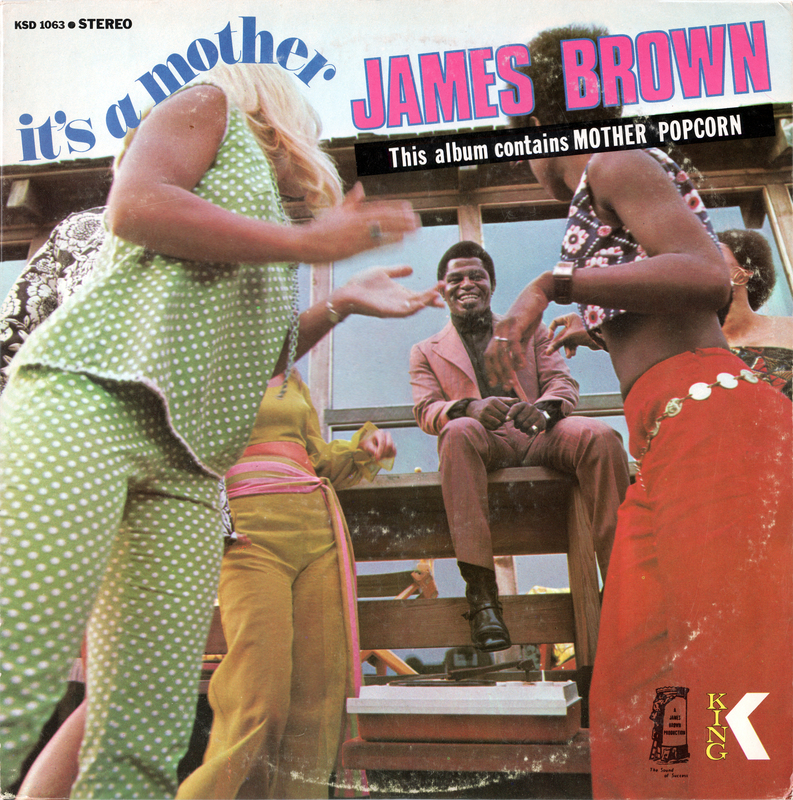 The Brothers Johnson version, which came out a full six years later, is remarkably faithful to the psychedelic spirit of the original. Maybe it is less cryptic and more mysteriously happy. Quincy’s production pushes it into heavenly and exciting places, and it sports an epic layered guitar solo by Lee Ritenour too. Has Tarantino ruined this song yet by making it the background for some ultraviolence? I think he has but I can’t remember where. There are some fine original songs here too in a similarly breezy, windows-rolled-down summer spirit. In fact the opening and closing tracks of the LP could have been written as bookends to accommodate Strawberry Letter, which is sequenced squarely in the middle of the album (first song on Side 2). There are a couple of tight instrumentals too. But yeah, no doubt, Strawberry Letter 23 is the showcase piece here. Is this the last post of 2016? Even when I attempt a timely, topical post, it’s still kind of late. I mean, I could be posting a Bobby Hutcherson album recorded by Rudy Van Gelder (two birds with one stone), or something from my stash of calypso and soca in solidarity with Notting Hill carnival (happening right now). But instead I am bringing a soundtrack for the summer, which in the 24/7 stress culture of over-planning and anxiety in the United States is unofficially drawing to a close, even though there’s nearly another month of it. But then again, we have a pretty strong South American readership at this blog, and quite a few friends in Australia, and they’re summer hasn’t even BEGUN yet, so really I’m just trying to cover all the bases here. While not as memorable as, say, their Music Is The Message album, it’s a fun spin of summer-themed tracks. And you can populate them with your specific memories and meanings, as their almost-instrumental format – featuring choruses with vocals, but no verses – lends itself to daydreaming. In fact, as with some of their other LPs, I can’t help feeling like some of these were half-finished tunes intended for singers on the Philadelphia International label which never came to fruition. In an parallel universe, then, some of these songs were massive smash hits that everyone knows, and you are using this record for your next karaoke party (because it is a known fact that karoake is popular all throughout the multiverse).